I am creating a website using ASP.NET MVC 5. Has Microsoft release any technology to replace FormsAuthentication or do they still recommended authenticating the user using FormsAuthentication for MVC 5? Yes. FormsAuthentication is deprecated in MVC 5 and onwards. At least, that's the short answer. The long answer is that pre-MVC 5 traditional FormsAuthentication is still ok to use. It is, however being phased out in favour of alternative approaches such as ASP.NET Identity. In this case, Individual User Accounts is referring to ASP.NET Identity. The new membership system is based on OWIN rather than the ASP.NET Forms Authentication module. So Identity didn't exactly replace FormsAuthentication, but rather it replaced the Membership system which used FormsAuthentication. A good thing too, because according to a question I asked in 2013, Membership is rather confusing. 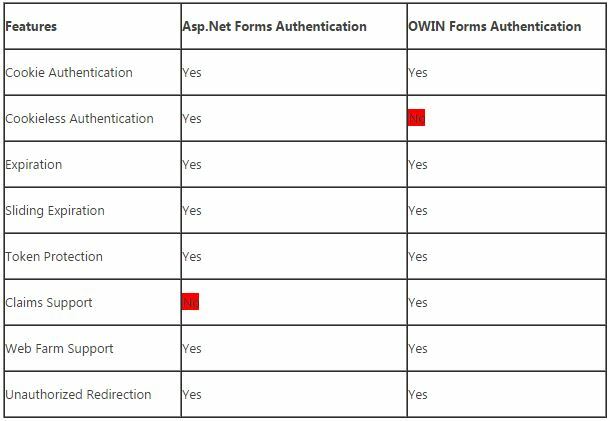 So if you'd still like to use FormsAuthentication, check out Understanding OWIN Forms authentication in MVC 5. So Microsoft encourages you to use ASP.NET Identity. You don't have to, of course. You can simply select No Authentication and the project will not implement anything for you. It is then up to you to fulfil your membership/login needs. Going back to ASP.Net Webforms from ASP.Net MVC. Recommend patterns/architectures? What's the difference between stateful and stateless? is “ASP.NET Membership” still a good choice for ASP.NET MVC authentication nowdays?